Have you ever been denied entry into Canada? Do you have offences on your record? Do you have an important trip coming to Canada? If your answer is “yes” for all of the questions, then you may need to apply for a Temporary Resident Permit to come to Canada. A Temporary Resident Permit also known as TRP allows you to briefly overcome inadmissibility due to exceptional travel circumstances. The Temporary Resident Permit grants your special authorization to enter Canada at its Port of Entry. You should only apply for a Temporary Resident Permit if you are inadmissible and have a valid reason to enter Canada. There is no guarantee that a Temporary Resident Permit will grant you entry in to Canada as the onus lies with the reviewing officer regarding whether your Temporary Resident Permit should be granted. In this blog, you will learn about the basic information of a Temporary Resident Permit, so that you can better prepare yourself prior to entering Canada. Personal Statement Attesting Good Character. Please note, that this is not an exhaustive list as an officer has the discretion to deny you access for reasons beyond the above list. In theory, you must satisfy the officer that your presence in Canada far outweighs any risk to Canadians or Canadian society. For further information and tips on Temporary Resident Permits, please visit our website. 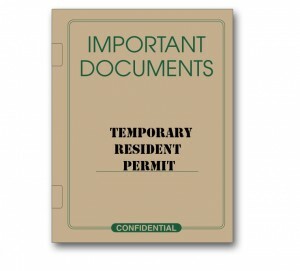 In some cases, you may be eligible for a three year (1095 days) Temporary Resident Permit. In most common situations the officer may only grant you a Temporary Resident Permit for the duration of the required stay. Once your Temporary Resident Permit has expired, you must exit Canada through an accepted port of entry. A Temporary Resident Permit is rarely valid for re-entry to Canada, however, in exceptional circumstances re-entry may be authorized at the discretion of the reviewing officer. If you have requested re-entry into Canada, please be sure that documentation states Your passport’s expiry date can also affect the validity date of your temporary resident permit. As such, it would be appropriate to have a minimal of three years remaining on your passport prior to your submission. The fee to apply for a temporary resident permit is approximately $200.00 CAD. This fee is non-refundable and must be paid prior to submitting your Temporary Resident Permit application. Evidence of efforts to suspension of record, if applicable. Again, please note that this is not an exhaustive list as an officer has the discretion to deny you access for reasons beyond the above list. In addition, you may leave Canada during any time of your stay, but prior to the expiration of your Temporary Resident Permit. Should you leave Canada before your request for an extension has been finalized. Immigration, Refugee and Citizenship Canada will expect your inadmissibility to be resolved before your return. You are not required to hire a professional representative at any time during the submission of your application. However, incorrect information whether directly or indirectly could potentially have a negative impact your application. An Immigration officer may deem you inadmissible pursuant to s. 40(1)(a) of the Immigration and Refugee Protection Act. Hiring a professional representative removes that uncertainty and is also beneficial to you, as a competent professional representative will understand the Immigration and Refugee Protection Act and Immigration and Refugee Protection Regulations. He or she will review and prepare a strong application for you with all the supporting documents that the immigration officer is trained to look for. If you have an urgent travel date to Canada but have been denied entry for criminal inadmissibility and require assistance with your Temporary Resident Permit application, feel free to contact us at 416-477-2545 or call our toll-free number at 1-877-820-7121 and will b glad to assist you with your matter. At Akrami & Associates, there is always a way!